When our Director Wolfgang Scholz, advised me it was time for another year’s review, it felt like it was just a short while ago that last year’s review was delivered. The pace has been relentless and it has been another year full of action for our industry and for HERA. The 12 monthly rolling total for heavy steel usage at the end of September stood at 167,000 tonnes while in 2014 it was 151,000 tonnes, and in 2013 it was 130,000 tonnes. This is certainly a remarkable growth story largely carried by steel construction activity. This figure is now edging closer to the October 2008 pre-GFC peak of 179,000 tonnes p.a. usage. However, considering that new capacity has been built we are confident that the local industry can satisfy both current and forecast steel construction demand. Our 2015 Executive Chairman, John Frear (formerly of member company Best Bars Ltd). Unchanged to last year, we still hear voices who argue New Zealand industry needs to get support from imported fabricated steel supply chains. However, when considering local capacity and the risks related to imported steel meeting our demanding seismic requirements, the most compelling value proposition clearly remains with the local industry. Behind the scenes, HERA continued to advocate for our members and provided considerable input to ensure your value and importance is recognized, particularly by our industry’s most important client – public sector procurement. 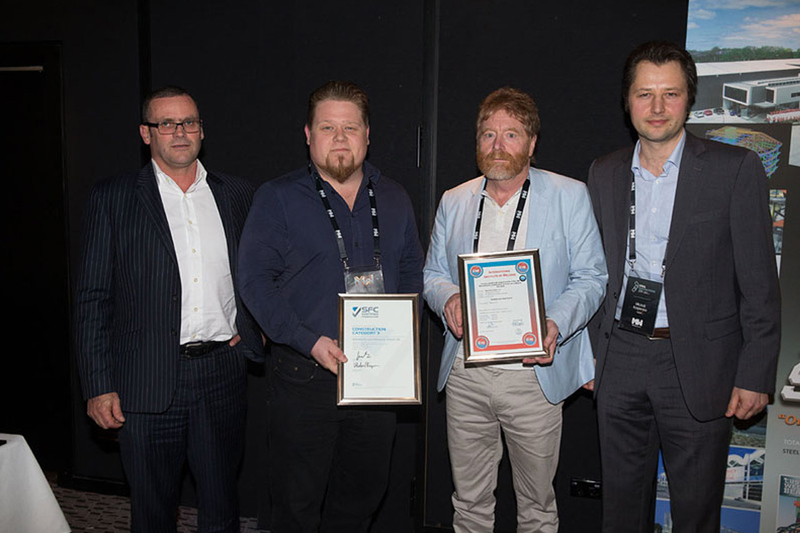 Industry continued investing in innovation at remarkable speeds, with the most demonstrable effort being the continued commitment to improving QA systems via signing up to the Steel Fabrication Certification (SFC) scheme. This year the number of steel fabrication companies having been certified to ISO 3834.2 doubled to 16 companies, thereby keeping HERA auditors busy covering the length and breadth of New Zealand. SFC scheme-certified companies now represent around 65% of New Zealand’s steel fabrication capacity, and HERA is pleased to report that in excess of 10 more companies have committed to the process in the current year. HERA’s contribution to this QA effort was massive with record numbers of welding personnel qualified through HERA-provided training and examination. At this point, I especially wish to express our collective gratitude to the industry volunteers on the examination committee who spend their time reviewing every exam paper and overseeing the examination process. This, of course, also applies to the many other industry members who contribute to our industry network, be it on the HERA Executive or on any of the many industry Panels and Boards. 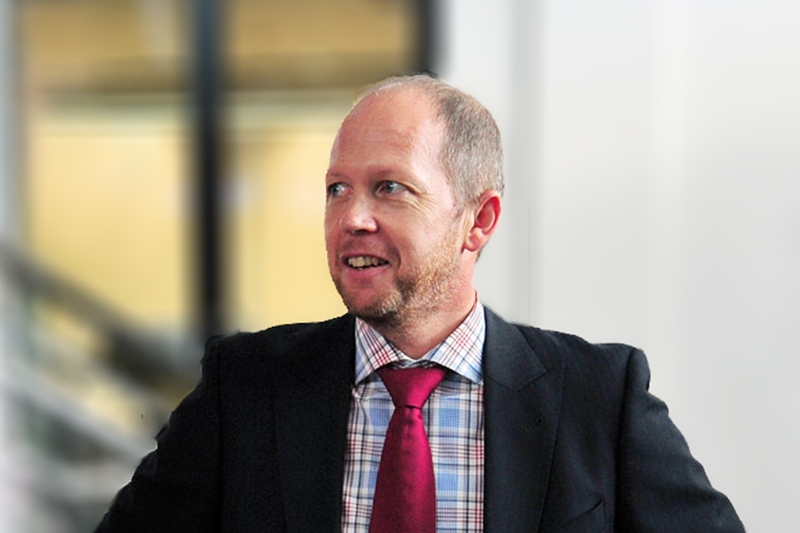 On a sad note, we remember the passing of former HERA Director Gavin Fletcher. 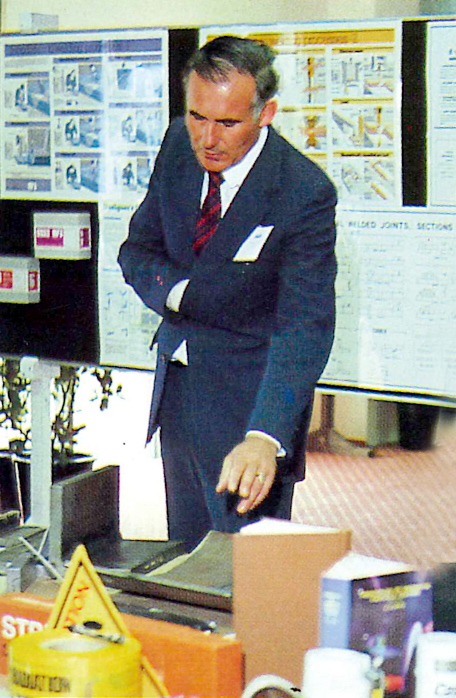 Gavin was instrumental in setting up the HERA structure as it still is today, and was the key driver for the building of HERA House. The membership has much to thank Gavin for and I know many members still remember him fondly from his time at HERA and the results he achieved. As to the HERA year, the highlight was no doubt the re-opening of the refurbished HERA House by our Minister Hon Steven Joyce. This was followed by a very successful international AGGAT Conference organised by HERA, and an equally successful Metals Week organised by our partner Metals NZ. A HERA session at the Metals Week Conference demonstrated HERA industry development and our contributions, while the SCNZ Steel Innovation Conference showcased the HERA research and development work done throughout the year. Less visible but no less noteworthy is the continuous effort of the HERA staff to progress their ongoing commitments, whether it be in standards work or industry research and development. As Executive members we are regularly reviewing their reports and the progress of their work. I particularly wish to note the current effort to improve the mapping of business opportunities for our members, a topic which was also progressed at the Metals Conference in a Rod Oram-facilitated session between industry members and the HERA Executive. At Executive level, we are continuing the discussion on this topic and we welcome your feedback on ideas you feel deserve support from the Heavy Engineering Research Levy (HERL) funding. On a personal note, I would like to let you know that I have moved from HERA member company Best Bars Ltd to Volkswagen New Zealand, which is not a HERA member. I would like to acknowledge the support of the HERA Executive to co-opt me back on the Executive to serve out the term as HERA Chairman until next year’s AGM in September; something I am glad to do for an industry which has been a big part of my professional life. As always, I invite you to make direct contact should you wish to raise any issues with me in my function as HERA Chairman, either by phone on +64 9 27 389 9858 or by on john.frear@icloud.com. Thank you and I wish you, your staff and families a well-deserved safe and enjoyable festive season! 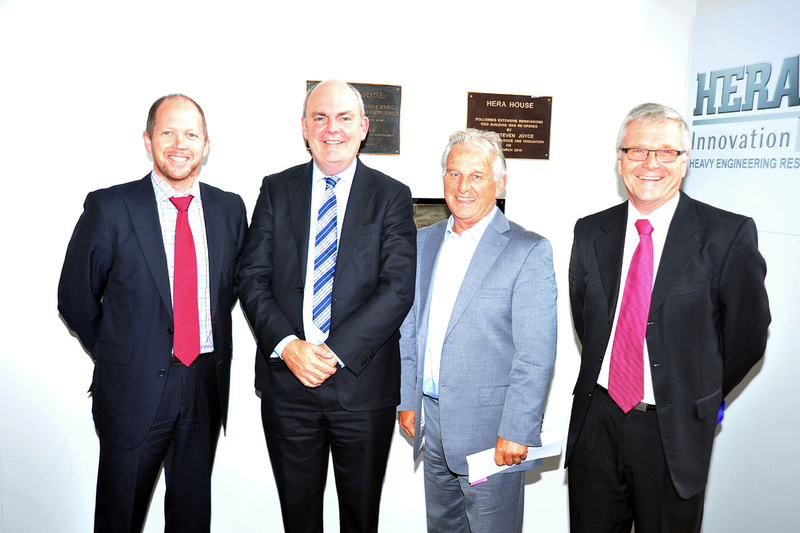 From left: Our Executive Chairman John Frear, Honorable Steven Joyce, HEERF Chairman Noel Davies and our Director Dr Wolfgang Scholz at the HERA House opening.